It's beginning to look a lot like summer, and that means it's the perfect time to make some savvy financial decisions, especially if you're one of the lucky Brits who'll be travelling abroad in 2014. If you've saved the money and booked some cheap flights to your destination, you're already winning - but now it's time to think carefully about your travel money. So, what are the pitfalls of international currency exchanges, and is cash or credit the best option? Here are our top tips, and some suggestions about finding the best deal. Good News: The most budget-friendly thing about exchanging your travel money is that you'll know exactly what you're getting for your cash. Plenty of major banks, department stores and travel agents do commission free currency, and you'll know exactly how much spending money you have on the day you transfer it. There are no hidden withdrawal fees and interest rates to worry about, and it's relatively easy to see how much you're spending when you're travelling. From the high street, Travelex offers competitive rates for larger amounts (i.e. above £500) and the Post Office is consistently good for smaller budgets. Bad News: Unfortunately, with cash, the exchange rates can suffer, and lengthy stays abroad may cause concerns about security. Top Tip: Some banks offer special exchange rates as an incentive for new customers or private account holders. Check with your bank to see if they can offer you a good deal on your travel money - but don't forget to shop around, too. Good News: More secure than cash and less risky than credit cards, pre-paid cards can be a good all-round option for travellers who are more comfortable with plastic. You can find decent exchange rates and some cards, such as FairFX, offer a cash "bonus" if you top up a certain amount. In the case of FairFX Euro, you get £10 if you top up £500 or more. 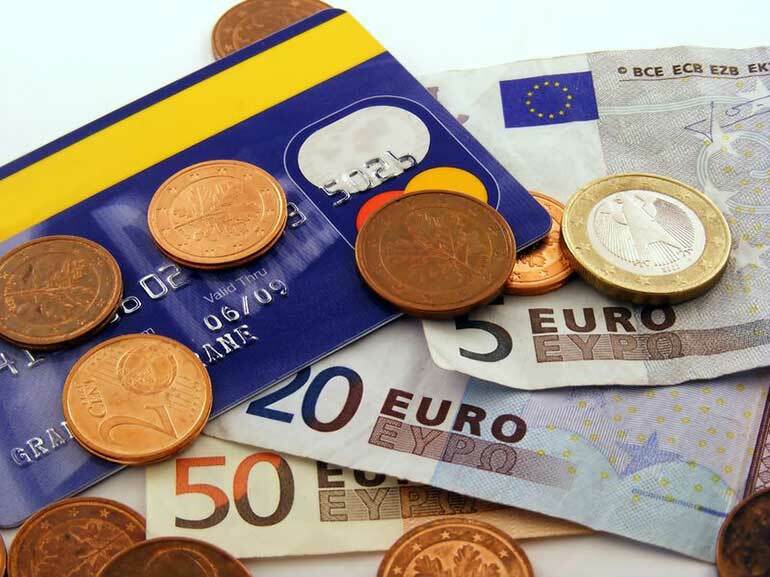 Bad News: Watch out for loading fees (charges for topping up the card) and be aware that pre-paid cards are currently only available in euros or dollars. Top Tip: Most pre-paid cards transfer the currency when you load (rather than when you spend), so there's a potential to win (or lose out) if the pound strengthens or weakens before you travel. Good News: For the well-organised, credit cards can be by far the best way to spend abroad. Rates for specialist cards can soar above those found on the high street, and spenders have the security which comes with using plastic. Some cards, such as Halifax Clarity, are aimed at travellers in particular, meaning that they don't add additional costs to the ordinary bank exchange rate. Bad News: Choosing the right credit card can take some cunning research, and you need to watch out for hidden costs in the form of interest or withdrawal fees. Some cards charge interest even if the balance is repaid in full, so shop wisely. Top Tip: Use our free budgeting software to plan your spending before you go (remember to over-estimate to give yourself some breathing room) and set up a direct debit to the credit card company before you go away, ensuring it reaches them well before the monthly deadline.